There are so many elegant ways to adorn dessert at a winter wedding! 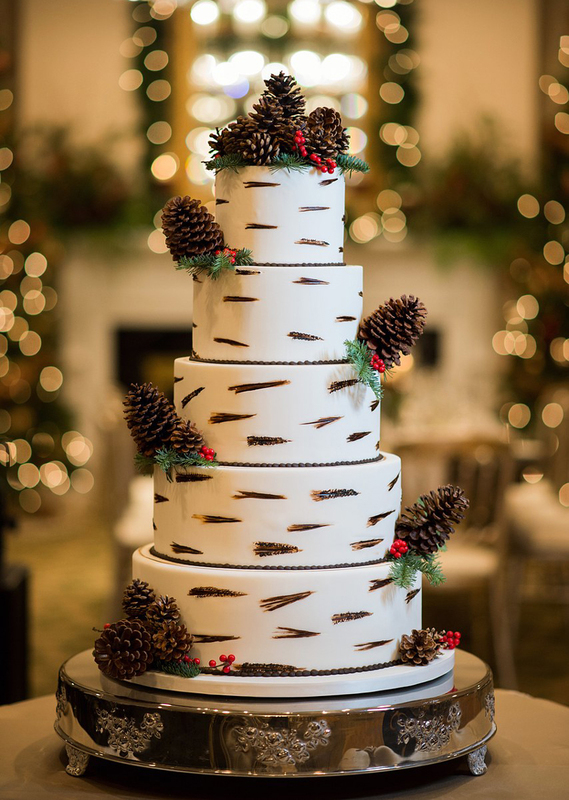 Browse our pictures of winter wedding cakes for ideas for your own nuptials. 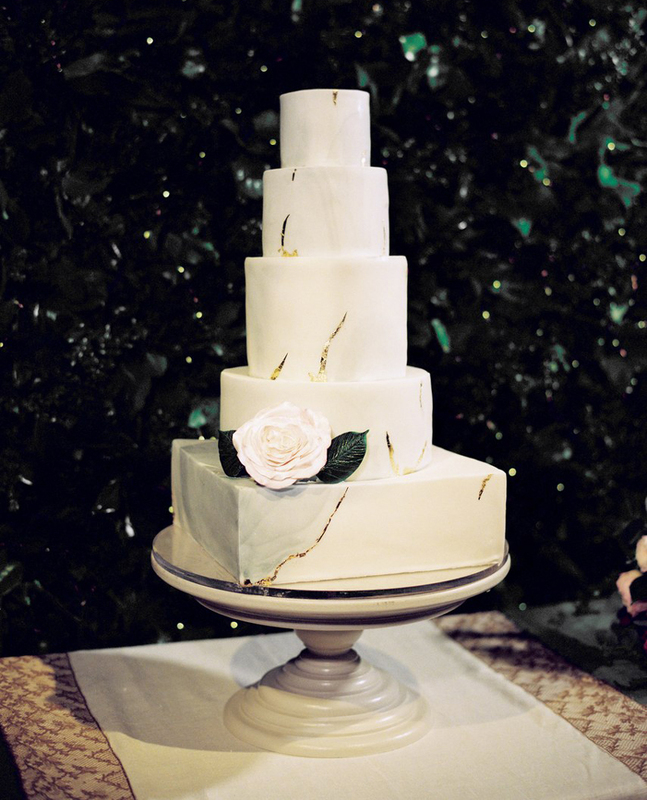 Your wedding cake might just be the most talked about confection of your entire life—better make it good! 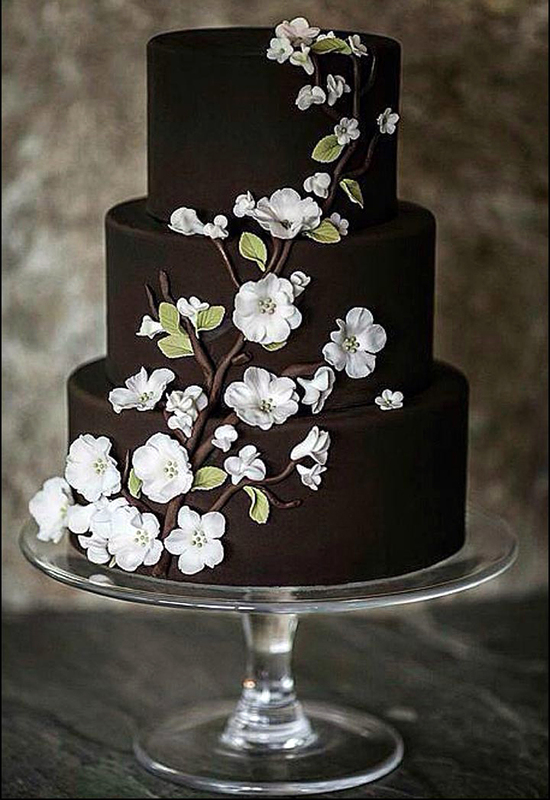 Luckily, if you're getting married in the winter season, there are so many elegant ideas for winter wedding cakes. 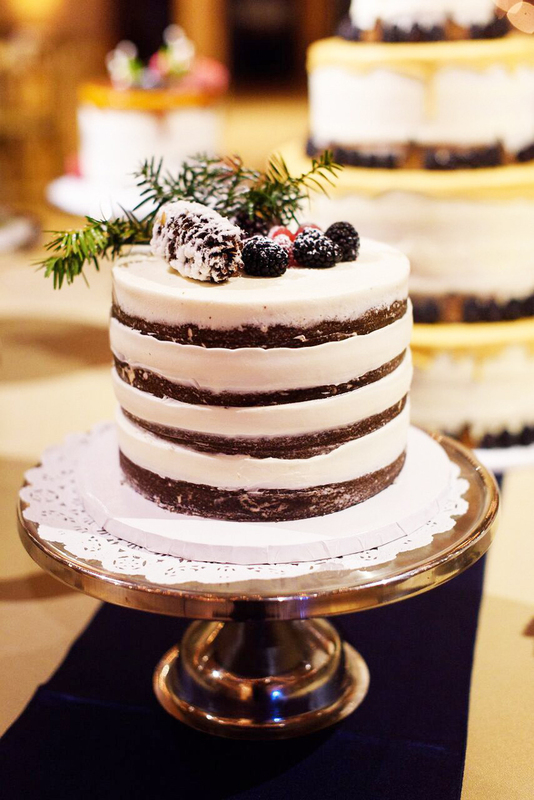 We tapped the minds of some of the industry's top wedding planners, photographers, caterers, and everything in-between on the show-stopping seasonal wedding cakes they've seen at wintertime nuptials over the years. Whether you go with an array of additional embellishments, like seasonal greenery and berries, or showcase a design fully encompassed in winter white, there are a plethora of ideas to consider. It’s easy to think you have to go overboard with holly and other festive elements when it comes to decorations for your winter cake, but thankfully, Kat Braman, owner of Kat Braman, knows a thing or two about photographing cakes that are a little more toned down. 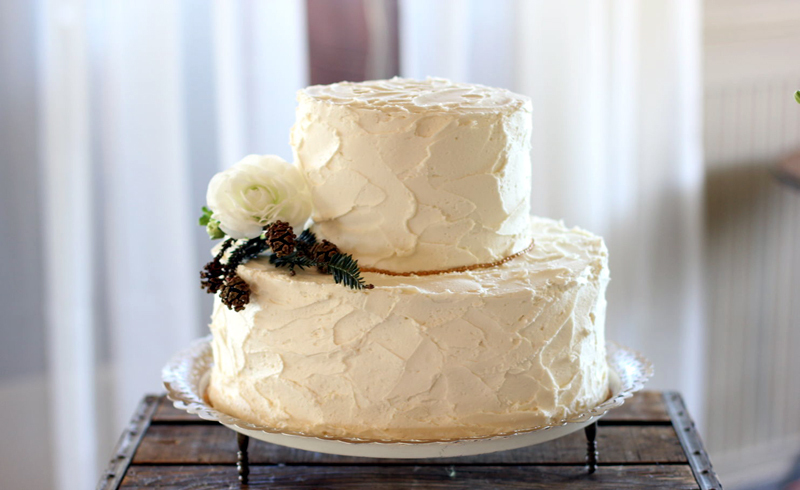 “The perfect wedding cake for your winter wedding is both simple and sophisticated,” Braman says, when describing this semi-naked carrot cake that showcases cream, blush, and white flowers. 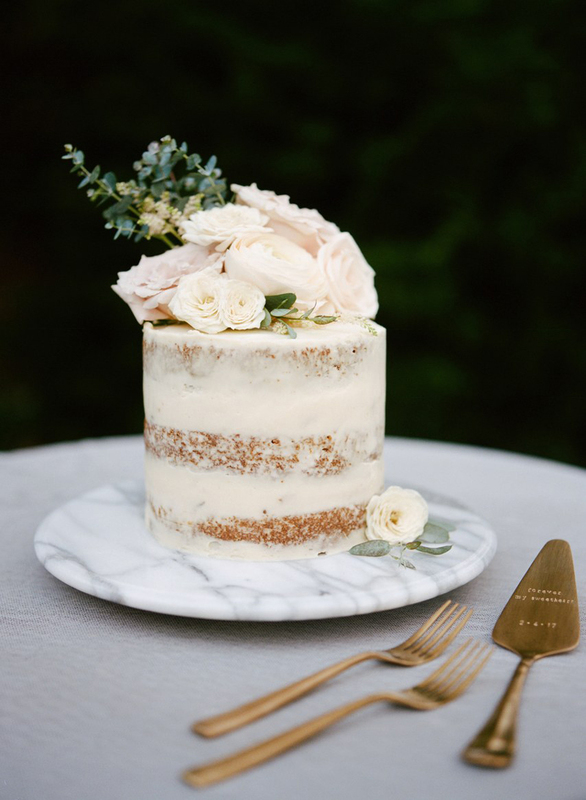 “A winter wedding is the perfect opportunity to showcase an all-white cake with striking details, whether buttercream with real flowers or fondant with intricate sugar flowers like this one,” says Becca Atchison, creative director of Rebecca Rose Events. 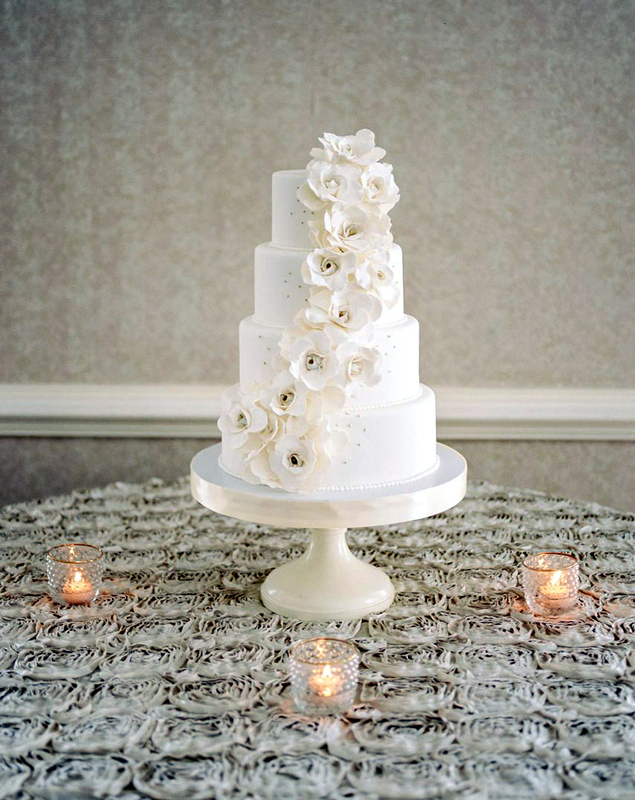 Elegant and refined, a white cake also won’t take away from any surrounding festive decor. If you’re opting for a classic winter white cake, consider a colorful and detailed stand to incorporate a touch of festivity into your presentation. 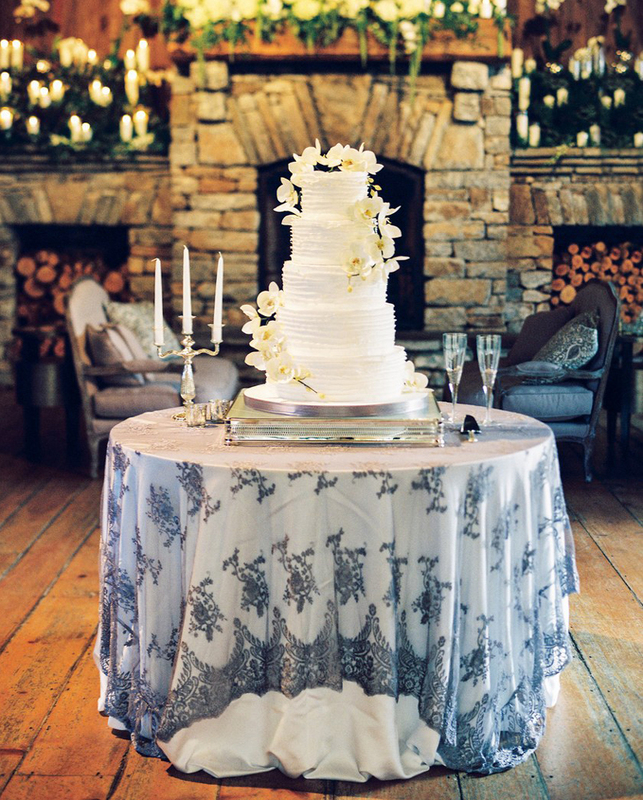 “This tiered cake was adorned with simple white flowers but rested on intricate blue linens, adding contrast and festivity to the overall cake display,” says Melissa Porter, managing partner and wedding planner at Asheville Event Co.
For one couple’s San Francisco day, a classic white buttercream cake served as an elegant choice to their winter nuptials. “Add seasonal greenery for a subtle nod to the winter wonderland outdoors!” says Cassy Anderson, owner of Cassy Rose Events, who suggests complementing a moody winter color palette with dark and delicate blooms. Any shade can be made wintery when paired with texture, design detail, and cozy elements. 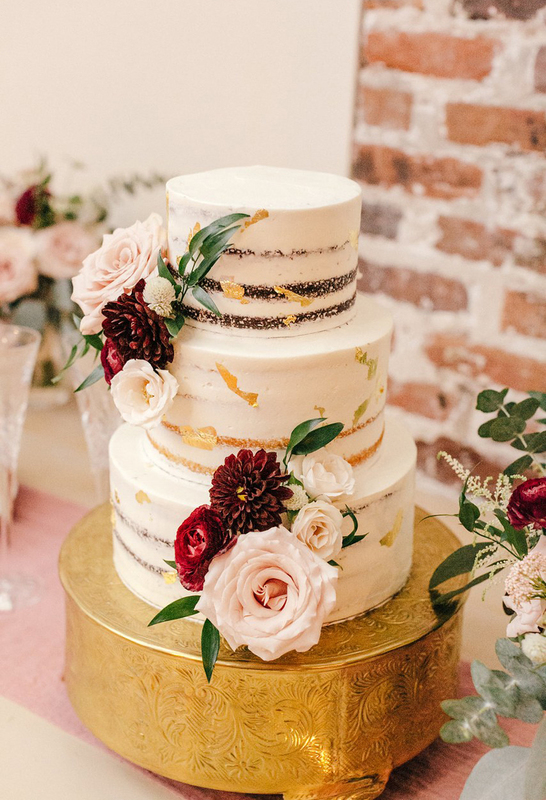 “A cake overlaid in subtle detail (like gold-veined marbling) can be winterized by accenting with lush winter greenery and a velvet linen,” says Calder Clark, owner of Calder Clark. Opt for texture and detail but keep a neutral palette to make your cake a perfect example of the season. “This bride and groom had a whole table of winter cakes,” says Kelly Cavanaugh, owner of Clementine Custom Events. Topped with snowy decorations and fresh fruits, each cake was an ode to the enchantment of the winter season. Aside from the vibrant red and green shades traditionally seen throughout holiday color schemes, consider varying hues in more saturated tones. “Nothing says ‘winter’ more than sweet treats and holiday hues!” says Demi Meeker, senior event sales manager at Cannon Green. 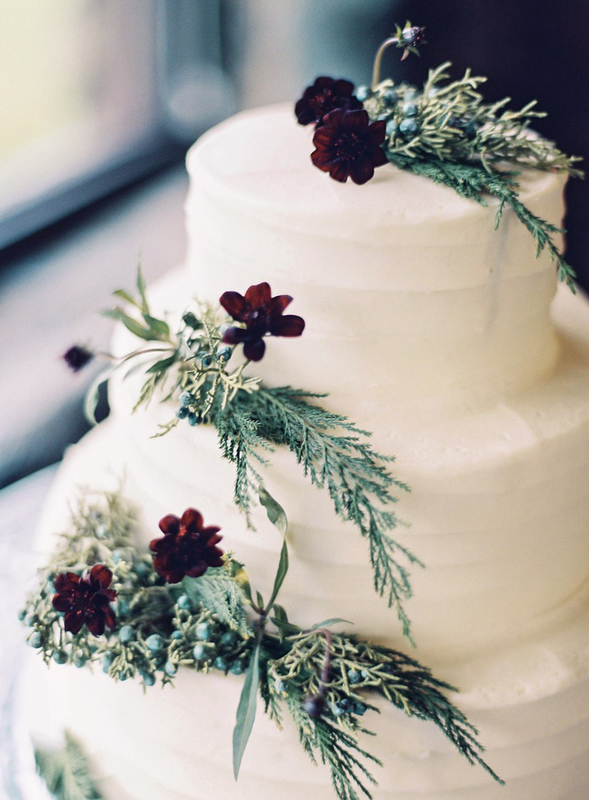 “Get in the holiday spirit with a cake that features seasonal tones like burgundy and green, with added florals,” Meeker adds. “Use subtle (or not so subtle) elements to bring the holiday season into your cake,” says photographer Julia Franzosa, owner of Julia Franzosa, who captured this pinecone-adorned cake for a festive holiday-inspired celebration.